It is one of the most anticipated albums of the year, and it’s finally here. On November 16, 2018, Anderson .Paak’s third album, Oxnard, was released, and he tells Billboard it’s the album he’s dreamed of making since he was in high school. Oxnard is named after the beach town where Anderson .Paak grew up in. Often times when an artist grows up in an area where it’s not as crazy or as bustling as say, L.A. or New York, it can create a unique sound. Oxnard is certainly ambitious, it was produced by the legendary Dr. Dre, along with producers, Mell, Pounds, Dem Jointz, Andre Brissett and Om’Mas Keith and is a big step up from .Paak’s previous albums. Once .Paak became a success, he had to readjust his approach when he was writing the album. The albums that influenced .Paak when he was creating Oxnard included Jay Z’s The Blueprint, The Game’s The Documentary, and Kanye West’s The College Dropout. 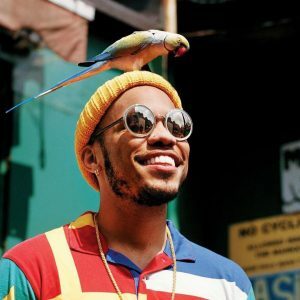 The album is named after .Paak’s hometown, Oxnard, CA, and his previous albums were also named after two famous beach communities, Venice and Malibu. The first single from the album, called Bubblin, was released earlier this year. 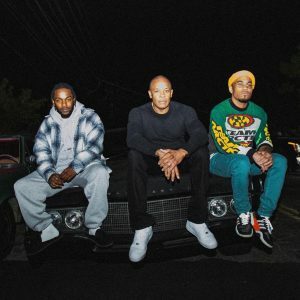 Other singles from the album include Tints, which features Kendrick Lamar, and ‘Till It’s Over. 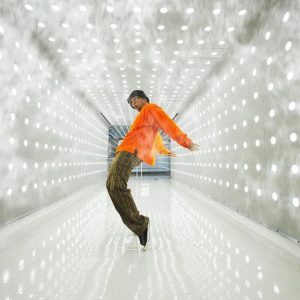 The Oxnard album wasn’t created in a vaccum. In fact, .Paak had a strong group of writers and guest performers working with him. On the opening track, The Chase, .Paak is performing with Kadhja Bonet. Bonet is the self-taught songwriter, musician who first broke through with her album The Visitor in 2016. Other artists making guest appearances on the album include Snoop Dogg, Q-Tip, Pusha-T, J. Cole, Kendrick Lamar, and more. When .Paak spoke to The Cruz Show, he made the understatement of the year. “Compton is very far from Oxnard.” And indeed, Dr. Dre and .Paak may be from two different worlds, but they worked very well together in the studio.